08/04/2019 Uai Urquiza 1 1 Estudiantes B.A. This statistics show how the team Barracas Central, played as host in the matches between the two teams. This statistics show how the team Uai Urquiza, played as host in the matches between the two teams. The chance, based on the played matches till now, Barracas Central to score a goal (or more) in the game. 'Over' means to socre at least one goal in the game, 'Under' means not to score a single goal in the game for the team. The chance, based on the played matches till now, Barracas Central to score more than one goal in the game. 'Over' means more than one goal in the game for the team, 'Under' means 1 or 0 goals in the game for the team. The chance, based on the played matches till now, Barracas Central to score more than two goals in the game. 'Over' means more than 2 goals in the game for the team , 'Under' means 2 or 1 or 0 goals in the game for the team. The chance, based on the played matches till now, Uai Urquiza to score a goal (or more) in the game. 'Over' means to socre at least one goal in the game, 'Under' means not to score a single goal in the game for the team. The chance, based on the played matches till now, Uai Urquiza to score more than one goal in the game. 'Over' means more than one goal in the game for the team, 'Under' means 1 or 0 goals in the game for the team. The chance, based on the played matches till now, Uai Urquiza to score more than two goals in the game. 'Over' means more than 2 goals in the game for the team , 'Under' means 2 or 1 or 0 goals in the game for the team. This statistic shows the chance for win, draw or lose after 15 minutes of the game, based on the last played matches till now, for the team Barracas Central. This statistic shows the chance for win, draw or lose after 30 minutes of the game, based on the last played matches till now, for the team Barracas Central. This statistic shows the chance for win, draw or lose after 45 minutes of the game, based on the last played matches till now, for the team Barracas Central. This statistic shows the chance for win, draw or lose after 60 minutes of the game, based on the last played matches till now, for the team Barracas Central. This statistic shows the chance for win, draw or lose after 75 minutes of the game, based on the last played matches till now, for the team Barracas Central. This statistic shows the chance for win, draw or lose after 90 minutes of the game, based on the last played matches till now, for the team Barracas Central. The probability of winning the second half: Barracas Central (1), draw (X), Uai Urquiza (2), based on the game played till now. The chance, based on the played matches till now, Barracas Central to score a goal (or more) during the first half of the game. 'Over' means to score at least one goal during the first half of the game, 'Under' means not to score a single goal during the first half of the game for the team Barracas Central. The chance, based on the played matches till now, Barracas Central to score more than one goal during the first half of the game. 'Over' means more than 1 goal during the first half of the game, 'Under' means 1 or 0 goals during the first half of the game for the teamBarracas Central. The chance, based on the played matches till now, Uai Urquiza to score a goal (or more) in the game. 'Over' means to score at least one goal during the first half of the game, 'Under' means not to score a single goal during the first half of the game for the team Uai Urquiza. The chance, based on the played matches till now, Uai Urquiza to score more than one goal during the first half of the game. 'Over' means more than 1 goal during the first half of the game, 'Under' means 1 or 0 goals during the first half of the game for the teamUai Urquiza. This statistics shows the chance, based on the played matches till now, which team scored the first goal during the game. The percentage 'HOST' means the host team Barracas Central, the percentage 'GUEST' means the second - guest team to score first in the game Uai Urquiza. The percentage 'NO GOAL' shows the games without goals. The percentage values 'T1 or T2' show the chance Barracas Central or Uai Urquiza to win the match (every bet wins no matter which team wins the match). The percentage values 'T1 or D' shows the chance Barracas Central not to lose the match (win or draw - 1 or X). The percentage values 'T2 or D' show the chance Uai Urquiza not to lose match (win or draw - 2 or X). The probability for "the double chance" game for the first half of the match. The percentage values 'T1 or T2' show the chance Barracas Central or Uai Urquiza to lead in the result after the first half of the match (every bet wins no matter which team lead after the first half). The percentage values 'T1 or D' shows the chance Barracas Central not to lose the first half of the match (win or draw - 1 or ?). The percentage values 'T2 or D' show the chance Uai Urquiza not to lose the first half of the match (win or draw - 2 or X). The probability for "the double chance" game for the second half of the match. The percentage values 'T1 or T2' show the chance Barracas Central or Uai Urquiza to lead in the result after the first half of the match (every bet wins no matter which team lead after the first half). The percentage values 'T1 or D' shows the chance Barracas Central not to lose the first half of the match (win or draw - 1 or ?). The percentage values 'T2 or D' show the chance Uai Urquiza not to lose the first half of the match (win or draw - 2 or X). This statistic shows the probability for the result devided in FIRST HALF | END RESULT. With T1 is marked Barracas Central, with T2 is marked the guest team Uai Urquiza, and with D is marked the draw result. For example: the percentage 'T1|T2' means the first team T1 (Barracas Central) wins the first half of the game and the second team T2 (Uai Urquiza) wins the match. The probability for Barracas Central to score a goal in both halves of the match. The probability for Uai Urquiza to score a goal in both halves of the match. The probability for Barracas Central to win without conceding even a single goal during the match. The probability for Uai Urquiza to win without conceding even a single goal during the match. This statistic shows the chance for win, draw or lose after 15 minutes of the game, based on the last played matches till now, for the team Uai Urquiza. This statistic shows the chance for win, draw or lose after 30 minutes of the game, based on the last played matches till now, for the team Uai Urquiza. This statistic shows the chance for win, draw or lose after 45 minutes of the game, based on the last played matches till now, for the team Uai Urquiza. This statistic shows the chance for win, draw or lose after 60 minutes of the game, based on the last played matches till now, for the team Uai Urquiza. This statistic shows the chance for win, draw or lose after 75 minutes of the game, based on the last played matches till now, for the team Uai Urquiza. This statistic shows the chance for win, draw or lose after 90 minutes of the game, based on the last played matches till now, for the team Uai Urquiza. The probability of winning the second half: Uai Urquiza (1), draw (X), Barracas Central (2), based on the game played till now. The chance, based on the played matches till now, Uai Urquiza to score a goal (or more) during the first half of the game. 'Over' means to score at least one goal during the first half of the game, 'Under' means not to score a single goal during the first half of the game for the team Uai Urquiza. The chance, based on the played matches till now, Barracas Central to score a goal (or more) in the game. 'Over' means to score at least one goal during the first half of the game, 'Under' means not to score a single goal during the first half of the game for the team Barracas Central. This statistics shows the chance, based on the played matches till now, which team scored the first goal during the game. The percentage 'HOST' means the host team Uai Urquiza, the percentage 'GUEST' means the second - guest team to score first in the game Barracas Central. The percentage 'NO GOAL' shows the games without goals. The percentage values 'T1 or T2' show the chance Uai Urquiza or Barracas Central to win the match (every bet wins no matter which team wins the match). The percentage values 'T1 or D' shows the chance Uai Urquiza not to lose the match (win or draw - 1 or X). The percentage values 'T2 or D' show the chance Barracas Central not to lose match (win or draw - 2 or X). The probability for "the double chance" game for the first half of the match. The percentage values 'T1 or T2' show the chance Uai Urquiza or Barracas Central to lead in the result after the first half of the match (every bet wins no matter which team lead after the first half). The percentage values 'T1 or D' shows the chance Uai Urquiza not to lose the first half of the match (win or draw - 1 or ?). The percentage values 'T2 or D' show the chance Barracas Central not to lose the first half of the match (win or draw - 2 or X). The probability for "the double chance" game for the second half of the match. The percentage values 'T1 or T2' show the chance Uai Urquiza or Barracas Central to lead in the result after the first half of the match (every bet wins no matter which team lead after the first half). The percentage values 'T1 or D' shows the chance Uai Urquiza not to lose the first half of the match (win or draw - 1 or ?). The percentage values 'T2 or D' show the chance Barracas Central not to lose the first half of the match (win or draw - 2 or X). This statistic shows the probability for the result devided in FIRST HALF | END RESULT. 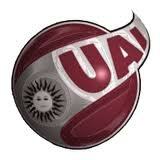 With T1 is marked Uai Urquiza, with T2 is marked the guest team Barracas Central, and with D is marked the draw result. For example: the percentage 'T1|T2' means the first team T1 (Uai Urquiza) wins the first half of the game and the second team T2 (Barracas Central) wins the match. This page was load for 0.14 sec.